Close Cousins or Distant Relatives? There are many misconceptions when it comes to cannabis, especially when a lot of terms in the industry look similar yet, ultimately, have different meanings. Hemp oil, cannabis oil and marijuana oil are often used interchangeably, but they are not synonymous. How are they related? And how are they different? 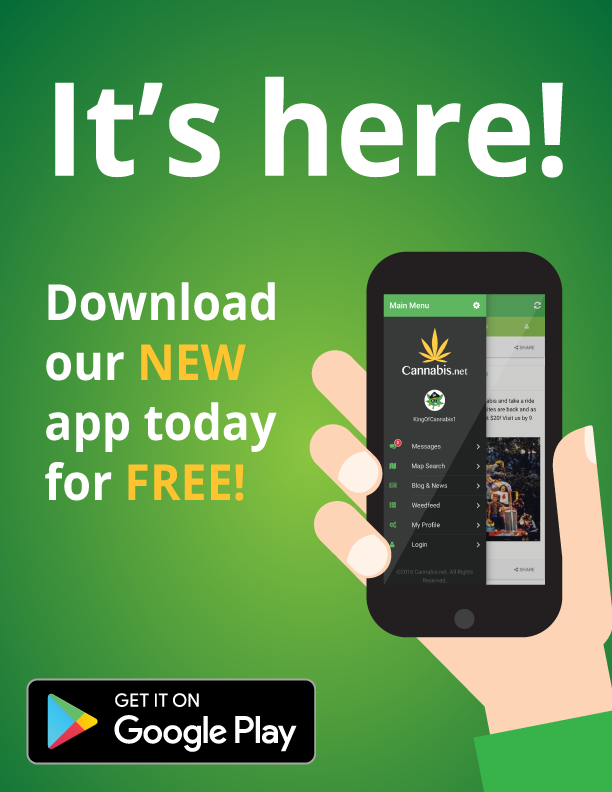 The first important distinction to make is that cannabis is a plant genus, which includes both the hemp and marijuana species. These two species are constituents of cannabis. The same holds true when it comes to their respective oils. The term cannabis oil includes both hemp and marijuana oil. When people speak of cannabis oil, however, nine times out of ten, they’re referring to marijuana oil. While hemp and marijuana oil come from the same plant genus, they are vastly different, just like hemp and marijuana are. 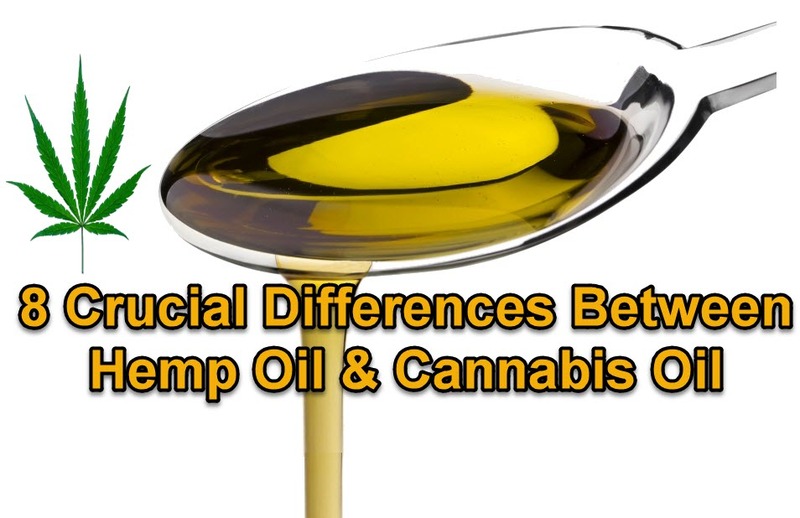 A great way to illustrate where the two types of oil differ is the following infographic, courtesy of Healthy Hemp Oil. There are fundamental differences between hemp and marijuana plants, which is clear by looking at their physical characteristics, size, shape, and preferred growth conditions, as well as their different cannabinoid content and chemical property ratios. It’s estimated that there are nearly 400 cannabinoids in both hemp and marijuana, but THC and CBD are the two cannabinoids of significance for most interested parties. Each substance has a different effect. In short, THC (tetrahydrocannabinol) is the chemical compound that causes the psychotropic effects commonly associated with marijuana. It is the ingredient that gets you “high” or “stoned.” On the other hand, CBD (cannabidiol) is the chemical compound that may be responsible for a plethora of health benefits, such as stress reduction, enhanced sleep quality, decreased inflammation and a general sense of euphoria. The difference in hemp and marijuana oil’s THC and CBD content leads to different effects and, consequently, lend to different uses. As illustrated by the previous infographic, marijuana can have as much as 200 times the THC content as hemp oil does. Simultaneously, hemp oil may have nearly twice the CBD content of marijuana. These numbers, of course, fluctuate somewhat between different products and strains, but a general rule of thumb stands: marijuana oil has massively more THC than hemp oil, whereas hemp oil trumps marijuana oil in CBD to a sizeable extent. 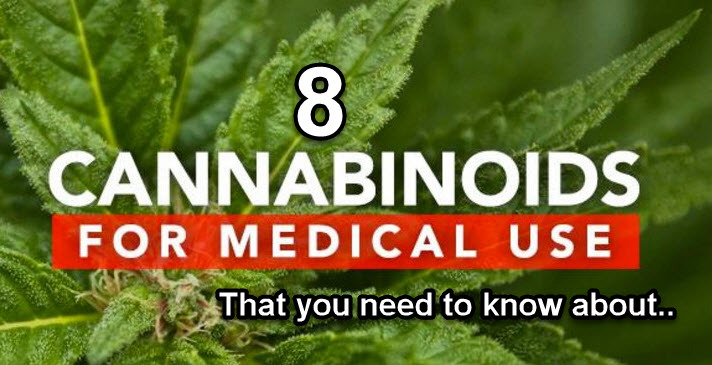 Which Cannabinoid is Right for You? Knowing the uses of each oil is extremely important in order to make an informed decision on which type best suits an individual’s needs. Generally, marijuana oil’s high-THC content lends itself to recreational use, where the psychotropic effects of the oil are desirable and much appreciated. It also has a number of proven health benefits, like pain reduction and increased appetite, among many others to varying degrees. On the flip side, hemp oil’s high-CBD and low-THC content makes it an ideal option for those who wish to experience its down-regulating impact on anxiety and other soothing, health benefits, without feeling stoned and getting high. Another meaningful difference between the two types of cannabis oil has to do with their legal ramifications. Unfortunately, not all states are of the same mind on this matter. Although many states allow the purchase of marijuana oil for medical or recreational use, they do so under different circumstances. For others, like Idaho or Kansas, marijuana oil is still considered illegal. Any interested party would do well to consult a local authority and research the latest updates on their state’s respective laws. When it comes to hemp oil, the picture painted by the current legislation is quite different. Since hemp only has tiny, trace amounts of THC, industrial hemp oil can be purchased legally in all 50 states. • They come from different plants within the cannabis genus and have different physical characteristics. • They have different THC and CBD ratios. • Marijuana oil has psychotropic effects, due to its high THC content. • Hemp oil’s low THC content results in no (or negligible) psychotropic effects. • Both have medical applications, primarily due to their CBD content. • Hemp oil has a higher CBD content. 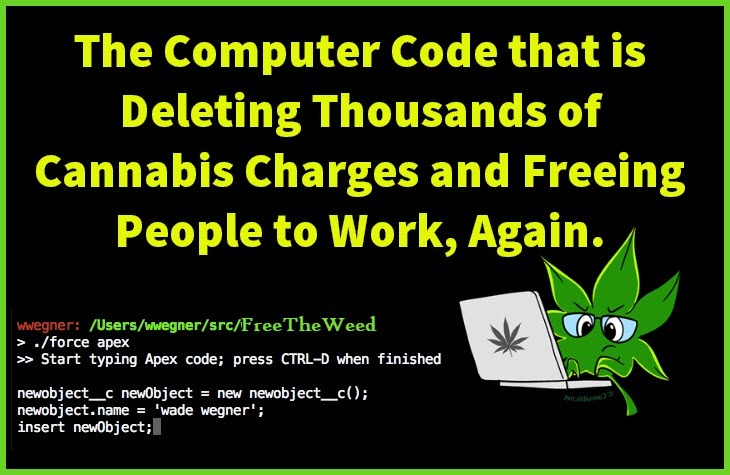 • Marijuana oil is governed by different laws and regulations per state, and it is outright illegal in some. • Industrial hemp oil is legal to purchase throughout all states. As you can see, Hemp Oil and Marijuana Oil each have unique benefits. We hope you consider these differences when deciding on which oil is best for you. Another important thing to know is, how to source your oils from a reputable supplier. Sadly, there are many unscrupulous companies in this industry who are out to make a quick buck. But here is the best way to avoid these shady companies. Make sure that any oil you buy is 3rd-party lab tested to be free of heavy metals, mold and contaminants. Also, make sure your products are tested for proper cannabinoid levels. We've heard horror stories of people getting products with very high levels of THC (when they want CBD). How can you figure this out? Ask your supplier for a COA (Certificate of Analysis). Any reputable company should be able to provide this for you. Knowing this little trick will help you find the best suppliers of Marijuana Oil and Hemp Oil. HEMP OIL, CANNABIS OIL, OR HASH OIL? READ THIS..
WHAT DOES THE BIBLE SAY ABOUT CANNABIS OIL? CLICK HERE. Cannabis contains cannabidiol (CBD), a cannabinoid that has been found to be extremely useful in treating inflammation. According to Gascon’s estimates, over 3,000 misdemeanors can be automatically pardoned with the program. Some 5,000 felonies will also undergo review and if they qualify they may be resentenced to a misdemeanor. However, prosecutors can still exercise their power in choosing to support the resentencing or not, since other factors such as possessing a major felony may affect their decision. 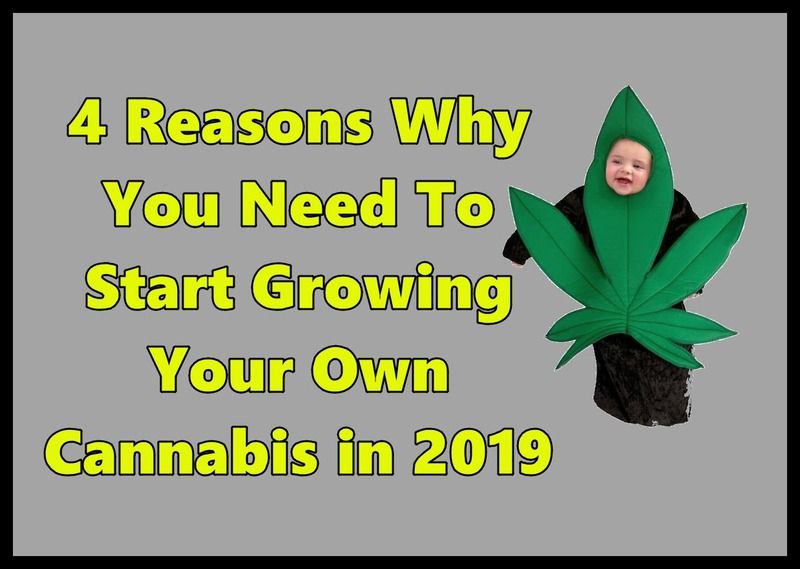 When you grow marijuana and see how it develops from seed to smoke, you get a firmer understanding of what you’re smoking. If you do a good job, you set a precedent on what good weed should look like.